Five tips to help the average photographer take great landscape shots without having to use over-complicated settings and expensive kit. Photography, and in particular nature photography, does not have to be over-complicated. Unfortunately, with so many features on a new digital camera, and a manual that is impossible to read, most beginners feel much safer with their camera set to automatic. If you read that and thought “That sounds like me!” read on; I have good news. There are some great ways to take better photos without having to learn the complexities of your camera. That’s right – leave your camera on auto and still learn to take great photos. For more advice on improving your landscape photography, read Landscape Photography Workshop. 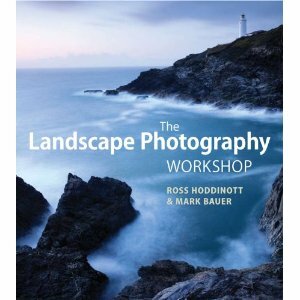 Two of the UK's leading landscape photographers come together to share their wealth of experience and teaching skills in this new title. The Landscape Photography Workshop aims to take the reader from the very basics of equipment and exposure through to advanced techniques. Landscape essentials, such as composition and filtration, are covered in-depth and explained in a precise yet easy-to-understand manner. This book also has chapters dedicated to post-processing and printing, enabling the reader to go successfully from camera to print, plus a number of practical assignments to encourage development and ensure that it stands out from other landscape photography publications.